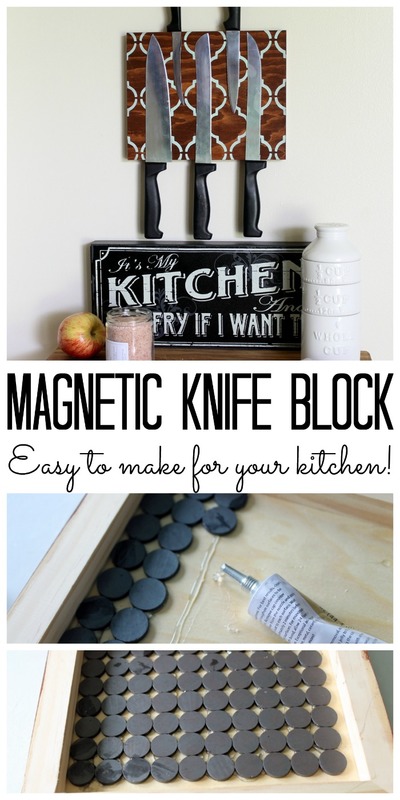 You can make a magnetic knife block for your kitchen with just a few supplies. 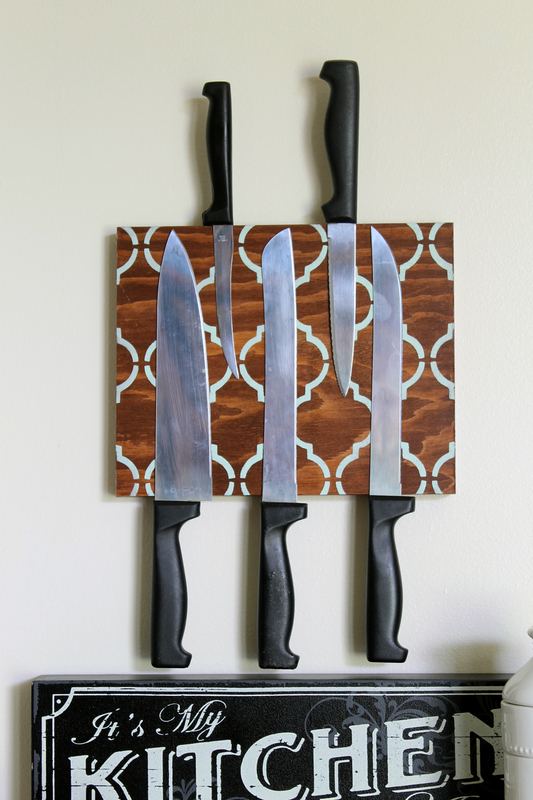 This is a great way to get your knives off your kitchen counter and onto the wall. I love organization ideas that look great hanging right in plain sight. Be sure that the panel you use has a recess for the magnets in the back. This will be very important! 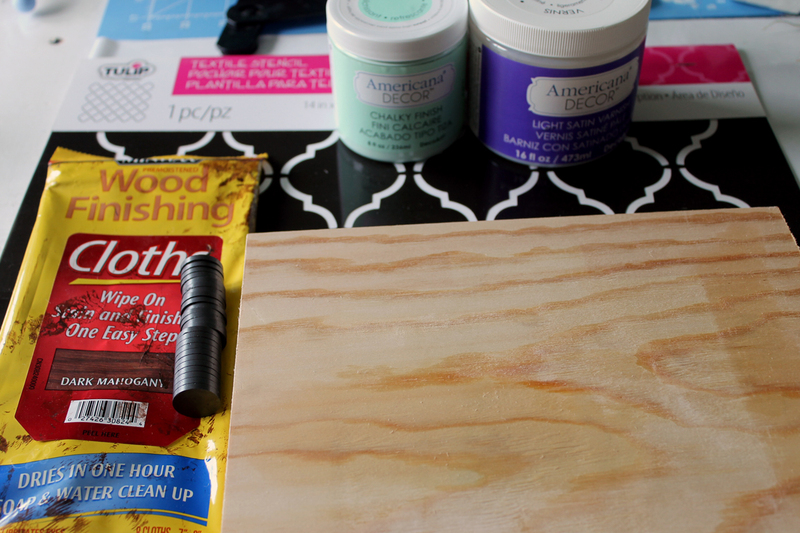 Start by staining your panel with the wood finishing cloths. Wipe away any excess stain and allow to dry completely. 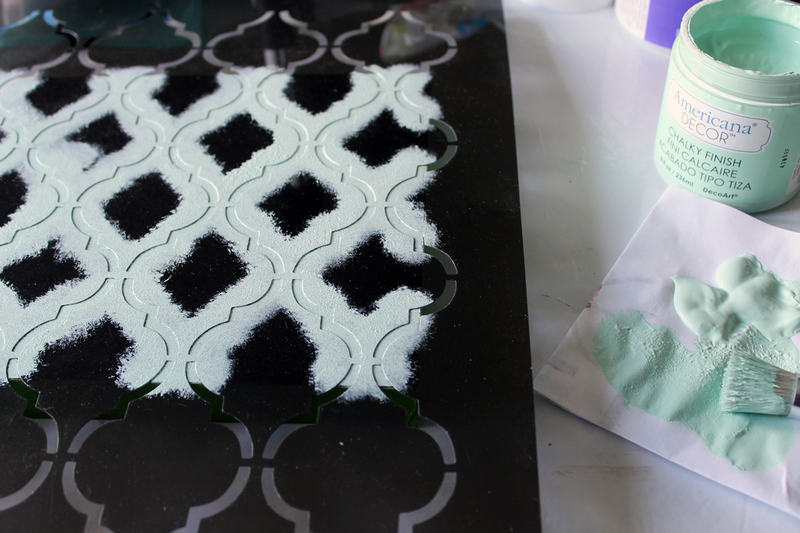 Then apply the stencil adhesive to the back of the stencil. Be sure to follow all instructions on the back of the brand that you purchase. Add painter’s tape around the edges of the panel. Press the stencil into place on the front of the wood panel. 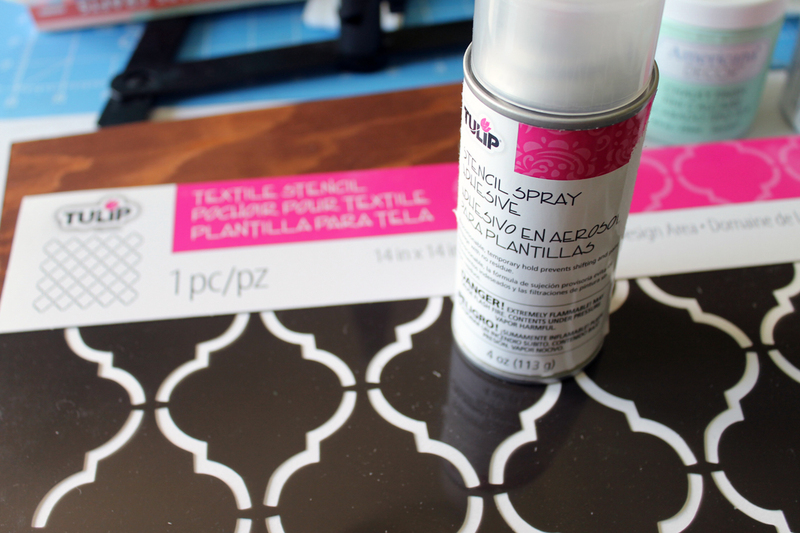 Use a paint brush to apply the craft paint to the stencil. Remove the stencil and tape then allow the paint to dry completely. 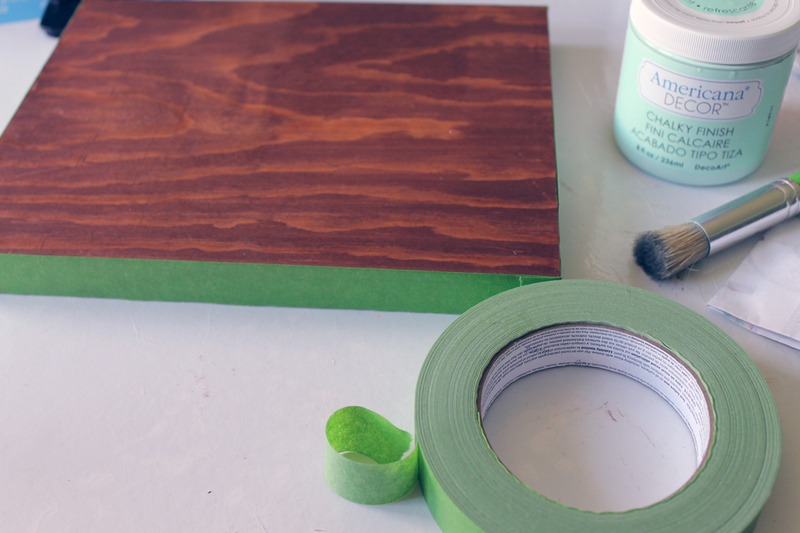 Apply a couple of coats of varnish over the top of your project. This will protect your painting from scratches when you add your knives and the environment in your kitchen. 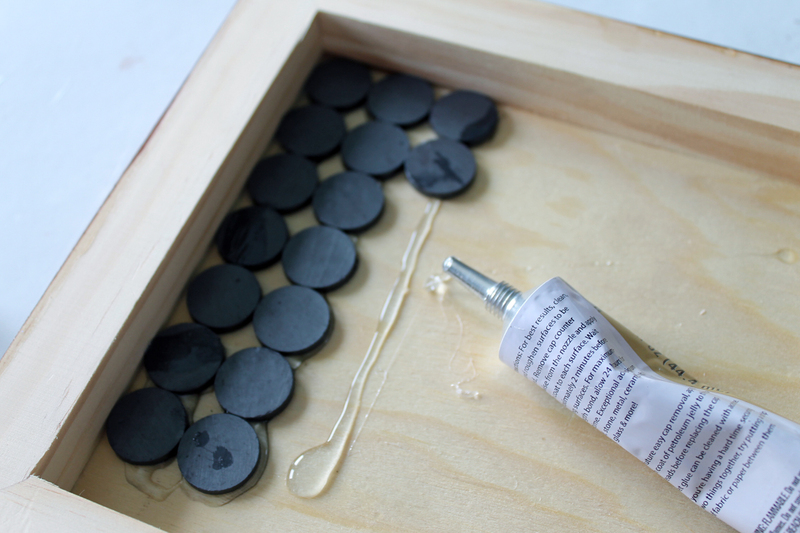 Make sure everything is dry then start adding magnets to the back of the project. Use a strong adhesive to apply heavy-duty magnets to the inside of your panel. When applying the magnets, experiment with which end of the magnet will attract and which will repel. 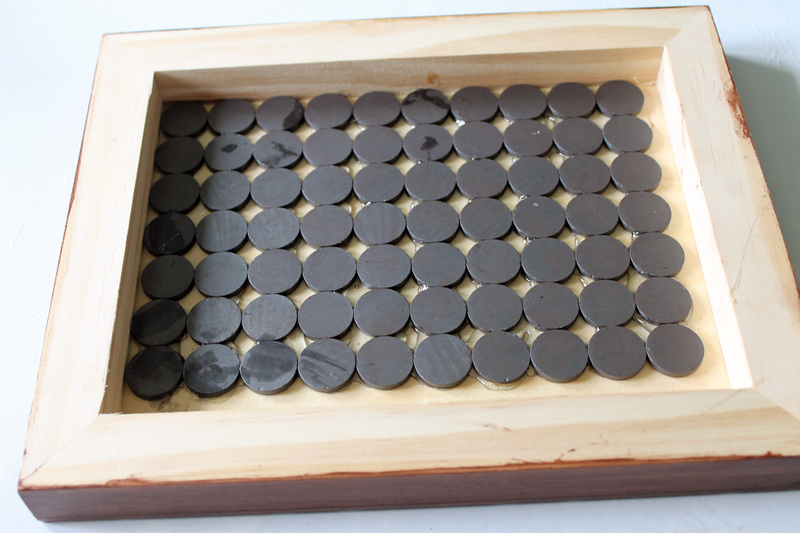 You will want to lay the magnets in such a way that they are attracting each other. Hold the adjoining magnets as you apply each one. This will keep them from lifting from your surface. I used 70 magnets on my project. You need to fill the panel to get the knives to stay in place. Allow the adhesive to dry completely. 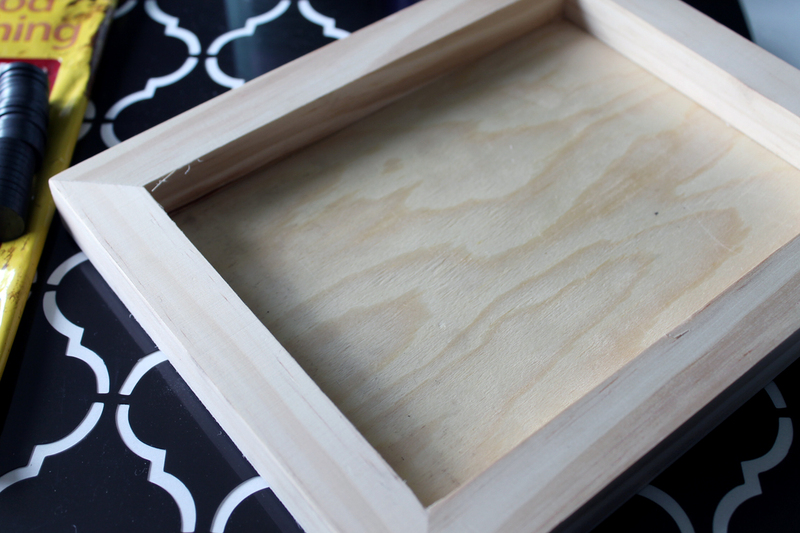 Once dry, your project is ready to hang in the kitchen! Be sure to hang this one out of the reach of any children. We don’t want anyone getting hurt! Add your knives to the front and you are left with some gorgeous kitchen organization. 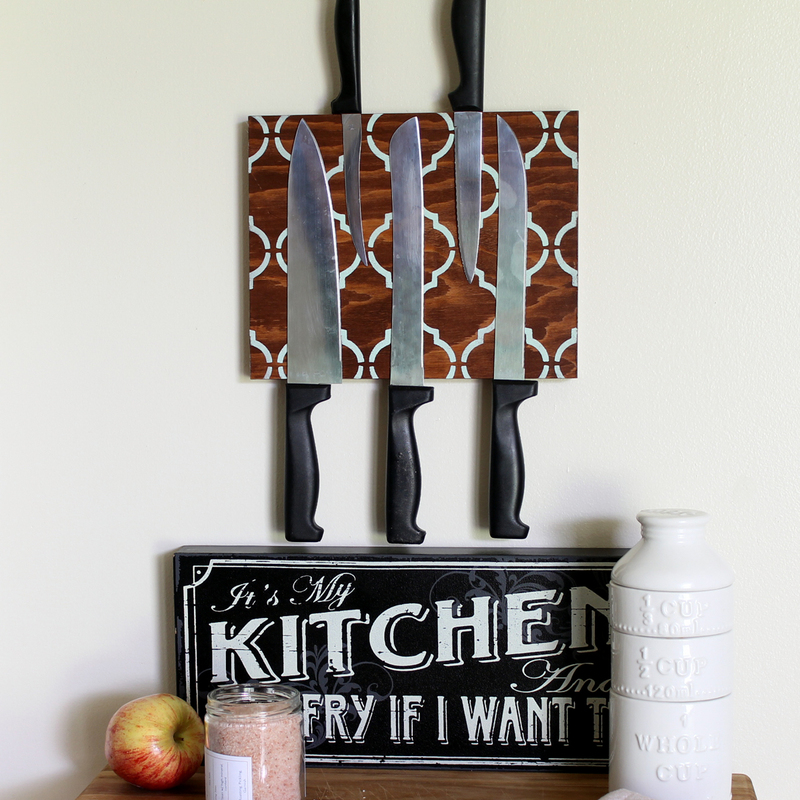 Get your supplies and make a magnetic knife block for your kitchen. You will love the results and just how organized it makes your space. This is an easy project that would also make a great gift. Think about using this project in other rooms of your home as well. It can organize anything that will attract to the magnets in the back. You will be making quite a few of these. 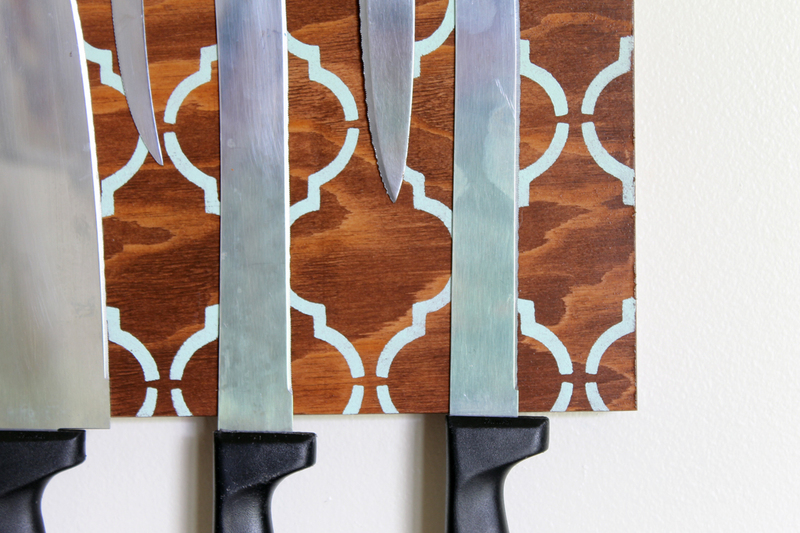 A DIY magnetic knife block will be a great addition to your home. If you are working on organizing your kitchen, be sure to check out these other kitchen organization tips. Your home will be looking better in no time! I love this idea, Angie! I really dislike those bulky knife blocks taking up counter space. I really think this would be a great addition to my kitchen! What a neat project. It looks fantastic. Love getting things off the counter! This turned out beautiful especially with the addition of the stencil. Pinning & sharing! Wow! I really like fun and fantastic idea to keep your knife off the kitchen counter. So long knife blocks! Now I keep my knife in a container because I don’t have much wall space in my kitchen. But thinking of rearranging in the future soon. Thank you for sharing this. I love this idea! I currently have all my knives in a drawer, but this puts them in a much more accessible location. Thank you! Great idea to free up counter space from a butcher block. 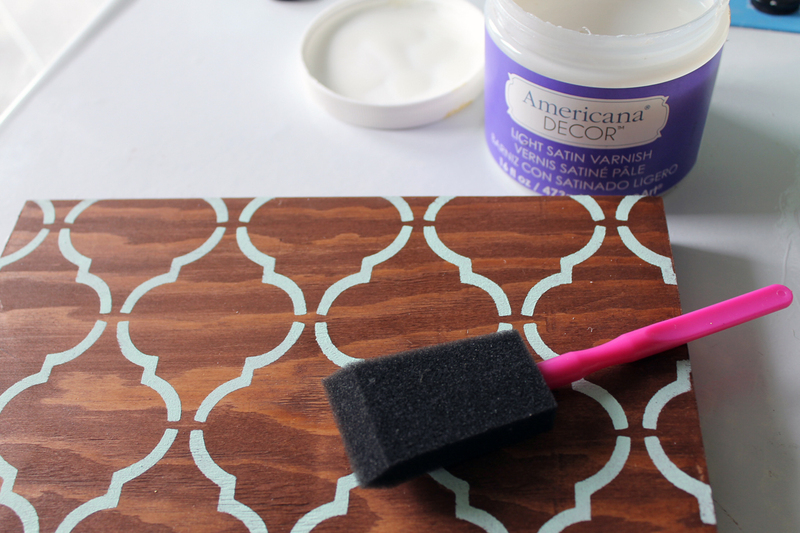 Love the stencil you used too! Thanks for linking up with Funtastic Friday! Wow! This is such a great idea! I like the stenciled design on this too. What a great idea! It looks great and is so practical. Thanks for sharing at Snickerdoodle. We’ll be featuring this at today’s party. Hope to see you there! I am in love with this project! 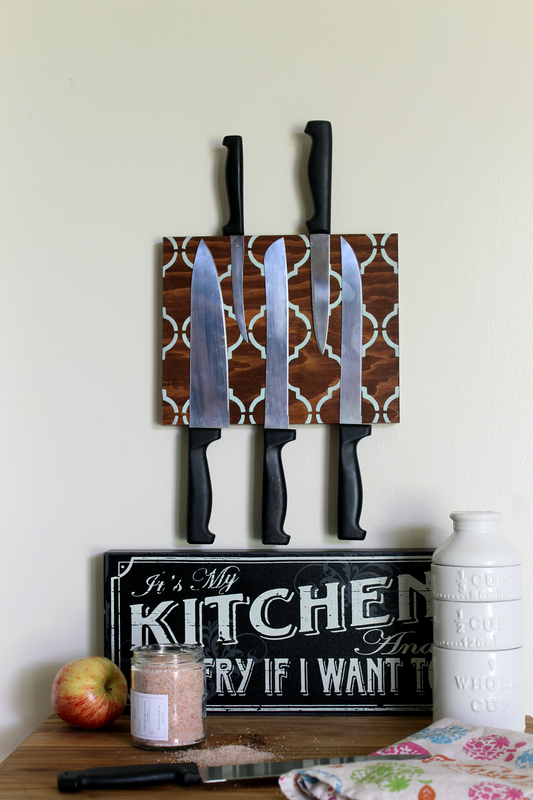 I would not have guessed you could make a hanging magnetic knife block like this. Well done and it’s so gorgeous! This is genius. Such a great idea for all the DIY’ers to create something useful for the kitchen. Thanks for sharing on Merry Monday. Pinned.